“ETS for Youth Equality” (EYE) aims at creating new educational opportunities and innovative approaches for the personal fulfillment of young people with intellectual disabilities in Europe. EYE will leverage the importance of Education Through Sport (ETS) as a driver for developing innovative educational formats and the creation of new methods connecting education and sport. Project final target group is young people aged 16-25 affected by intellectual disabilities or impairments and young people who deal with disability issues in their families/communities. According to the EHSIS Eurostat survey (2012), people aged 15 years old and over in the EU-27 were affected by disabilities accounting for 70 million. That is 17.6% of the total population. 25.6% of people involved in the survey reported a disability relating to education and training, 38.6% to employment, and 60.9% to leisure activities. Eurostat pointed out that the prevalence of disability is higher for people with a lower educational attainment. A 2014 Eurobarometer report shows that having a disability or illness is the main reason for not practicing sport at all (declared by 20% of those who never exercise or play sport, compared with 11% of those who do so seldom). Also, the report demonstrates that having a disability or illness is the main reason for 13% of the EU population not practicing sports more regularly (Special Eurobarometer 412, Sport and Physical Activity, Report, March 2014, p.56 and p.5 respectively). Meanwhile, research shows a strong connection between participation in organized sports and a wide range of positive outcomes. By participating in sport, individuals with disabilities experience improved social skills, self-confidence, self-determination, and increased independence [Weiss, J., Diamond, T., Demark, J., & Lovald, B. (2003). The experience of the applicant Special Olympics, member of the international Special Olympics network, bears out this assessment and furthers it into the inspiring reason of this project. Special Olympics has developed a program of inclusive sports (Unified Sports) in which people with and without intellectual disabilities train and compete on the same sports teams. Research findings over the foregoing programme have highlighted the critical role played by coaches and volunteers as leaders and role models in promoting its wider goals, namely to encourage the development of friendships and social acceptance of young athletes with intellectual disabilities (Kersh and Siperstein 2007, Norins et al 2007, Dowling et al. 2010). EYE builds on the mentioned experience by proposing an articulate cooperation among partners experienced in the educational use of Sport, with a specific focus on exploring Sports dimension as a tool of customized personal and social development for youngsters affected by intellectual disability, but it also aims to challenge the stereotyping and marginalization of young athletes with intellectual disabilities. Individuals with intellectual disabilities (ID) are one of the most vulnerable populations in the world. Utilizing sport as a medium, young athletes with intellectual disabilities become equals to their peers and as a result, attitudinal changes are witnessed. ETS will be the centerpiece of the project, as a liaison and tool to foster the inclusion of intellectually disabled youth, their participation in society, and in education/training. ETS combines sport practice and non-formal education (NFE) with a view to developing soft skills, basic skills, and attitudes enhancing the social inclusion and the transversal dimension of employability. ETS is a very effective tool to raise awareness about the importance of equality and of equal opportunities among young people in and through sport. 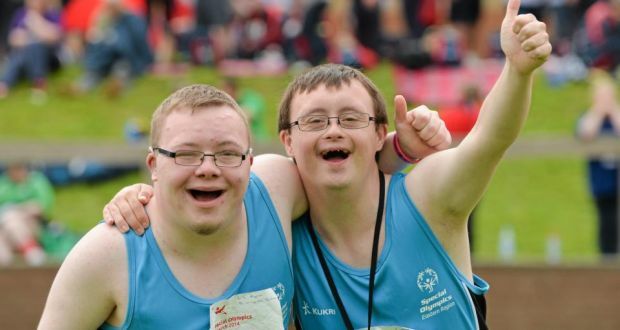 The project will focus on developing sports activities that encourage people with intellectual disabilities to participate as citizens in their communities, public life, society, and through the development and implementation of European cooperation whilst promoting awareness to the public of the value of the Special Olympics’ social inclusion. A key priority is to promote equal opportunities for people with intellectual disabilities (ID) to participate in sports training and sporting competition. The ET2020 Strategy has among its objectives the promotion of equity, social cohesion, and active citizenship as well as the improvement of the quality and efficiency of education and training. This is particularly relevant for young people affected by intellectual disabilities, who can find an effective inclusive tool in sport education. “RevenYouth LAB” (RYLAB) is a 24-month Strategic Partnership Youth involving two NGOs from Spain and Italy and one higher education institution from Croatia (tertiary level) with the aim of fostering transition to autonomy and employability/entrepreneurial engagement in the field of Social Entrepreneurship of disadvantaged NEETs aged 18-25. The project sets itself to achieve the aforementioned core objective by means of capitalizing on the dimension of self-employability education of young people through a set of methodologies the role and potential of Design Thinking, Personal Branding and Coaching in Business Management, in combination with Non-Formal Education, as mutually reinforcing components of a comprehensive and progressive approach to entrepreneurial empowerment. RY LAB is grounded on the long-lasting cooperation among European promoter entities and on their joint assessment regarding the challenges faced by young people with fewer opportunities like NEETs in the wider purpose of promoting employability alongside learning, training and labour mobility with a view to facilitating transition to the realm of employability as well as between different kinds of jobs, levels and types of education and training. Unemployment, social exclusion and deprivation of education as well as personal development opportunities affecting the sensitive NEET band of the European youth have grown to be a major area of concern for public authorities, NGOs, and stakeholder entities at the different levels. Within the youth population, young NEETs are one of the most vulnerable targets due to the additional multifaceted sets of constraints and development challenges posed by educational gaps as well as psychological and background-related barriers. The partial inability of formal education and participation circuits to fill gaps in employability, personal development, and participation opportunities is a crucial factor in hampering the development of skills and knowledge, which would allow NEETs to achieve personal fulfilment, empowerment, and added value and skills. In this context, the development of innovative comprehensive approaches targeted at developing social entrepreneurship capacities in NEETs offers promising prospects of addressing the issue of skills mismatch, exclusion from participation, and employability opportunities, while at the same time enhancing the social clout of youngsters as providers of added social value to host communities. Furthermore, the European Commission, in its “Entrepreneurship 2020 Action Plan” highlighted the added value of actions which aim to ensure development and improvement of the socio-economic situation of NEETs, providing them with opportunities of entrepreneurial learning and engagement. RY LAB will deliver on the priority of fostering social inclusion, employability, and community-oriented personal development of young NEETs through a coordinated partnered effort. They will identify, collect, and improve existing good practices, share successfully tested methods internally to their organizations, and develop high quality educational support schemes to socially oriented entrepreneurship to be tested in real situations, and ultimately, spread as a successful model in the wider community of youth operators, trainers, organizations, and stakeholders. The above-mentioned aim will be achieved through a self-contained and purposeful flow of research activities, meetings, and learning activities. RY LAB approach to entrepreneurial empowerment is grounded on a pondered combination of the following tools: – Design Thinking. Design methodology that provides a solution-based approach to solving problems related to the personal and professional development, by understanding human needs and ideal typical thinking/association processes. Design Thinking is extremely useful for discovering dormant potential, such as entrepreneurial attitudes and creative inspiration. – Self- Branding. Set of instruments and activities designed to foster self-introspection, positive shaping of personal identity, planning and development of own personal communication strategy (particularly on Social Media instruments) and acquisition of related digital competences. – Coaching in Business Management. 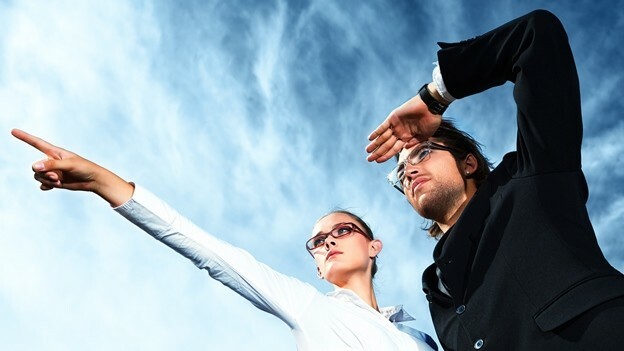 The methodologies of business coaching are facilitative one-to-one coaching with business managers and owners. This method is focused on business success and includes a mixture of short and long-term objectives. “EntreprenHour” (EH) is a Strategic Partnership in the youth field aimed at promoting the role of Social Entrepreneurship (SE), in combination with Non-Formal Education (NFE) and practical learning, as a tool for enhancing social inclusion and employability of disadvantaged sectors of the youth population. The direct target group of the project are young NEETs (not employed in education, training or in the labour market) aged 18-25 in all partner countries (Sweden, Italy, Croatia and Germany) and Europe. The indirect target group is composed of youth operators, NGOs, and institutions involved in the youth dimension of non-formal learning (youth centers, sports clubs/associations, and informal groups of young people) at the different levels (from the local to the European), in partner countries and beyond. The European Union’s “Strategic Framework for European cooperation in education and training” (ET 2020 strategy) prioritizes the development of human capital and the update of existing education/training policies and programmes to the needs of an ever-evolving global reality as a strategic focus for European societies to be concretely withstand the challenges brought about by the XXI century, not least globalization and the transition to a knowledge-based society, offering opportunities of employability and prosperity to all European citizens. The specific objectives underpinning the implementation and monitoring of the Strategy include the reduction of early leavers from education and training to less than 10% by 2020 as well as promoting the acquisition of entrepreneurial skills/attitudes of basic and transversal skills at all levels of European societies. The European Youth Strategy reflects this approach in the field of Youth by setting specific priorities related to the promotion of youth entrepreneurship, developing young people’s access to high quality education and training as well as reducing early school leaving. An antinomy between set expectations and factual developments emerges from a context analysis of existing challenges, particularly in sensitive portions of the youth population. The inclusion deficit left open by formal educational setups combines with the structural bias of the labour market against low-qualified profiles, determining a concerning proportion of long-term unemployed among the youth. According to European statistics, 12,5% of the EU population between 15 and 24 belong to the NEET category. All partner countries are faced by the challenge of NEETs in the youth population (11,9% in Italy, 14,3% in Bulgaria, 4,1% in Germany and 3,7% in Sweden). The partial inability of formal education and participation circuits to fill gaps in employability, personal development and participation opportunities is a crucial factor hampering the development of skills and competences which would allow youth NEETs to achieve personal and educational fulfillment as well as be actively engaged in their local communities. Thus, fueling a self- perpetuating cycle of disadvantage and exclusion. EH aims at addressing this challenge through cooperation among countries affected by the massive youth unemployment phenomena. With a concrete focus on extracting the educational potential of Urban Needs’ Analysis, Storytelling, Marketing and Intercultural Communication, NFE shapes the way to foster entrepreneurial empowerment and secure transition from ideas to action in the field of Social Entrepreneurship among the youth. 1) Urban Needs’ Analysis, as an approach for the identification of the grassroots local community needs to be catered by means of Social Entrepreneurship action. 2) Storytelling, as an instrument of structuring business ideas, establishing a clear/cut identity of social enterprises and related initiatives/products as well as fostering internal cohesion through the establishment of a defined corporate identity. 3) ICT, as a crucial area of expertise of a social entrepreneur profile and sector of direct entrepreneurial engagement. 4) Intercultural Communication, as a pathway to foster business development by means of effective communication campaigns bridging cultural divides. – Sharing and coordinated research on the existing good practices, which will be reported in state-of-the-art Reports and filtered into educational Toolkits for testing with the ultimate target group. – Testing and reporting: A Blended Youth Mobility involving representatives of the ultimate target group (NEETs aged 18-25) will test each Toolkit (1 BMYP per toolkit) and develop the related learning outcomes in participants. – Processing: Assessment of testing results to produce an integrated Format combining the areas of learning addressed in the Toolkits.